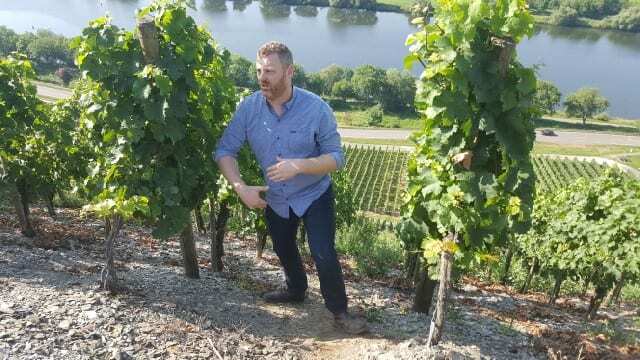 Last week, I wrote about the dry riesling found in Nahe, Germany and the fact that 90 percent of German wine is dry. But fruity, sweet wines do still exist in Germany, specifically produced in the Mosel, Nahe and Rhinegau regions. When we talk about “sweet” wine in Germany, we are not talking about overly sweet, cloying wines. We are talking about wines of finesse. These are wines with fragrance, fruity acidity and a mineral undertone. 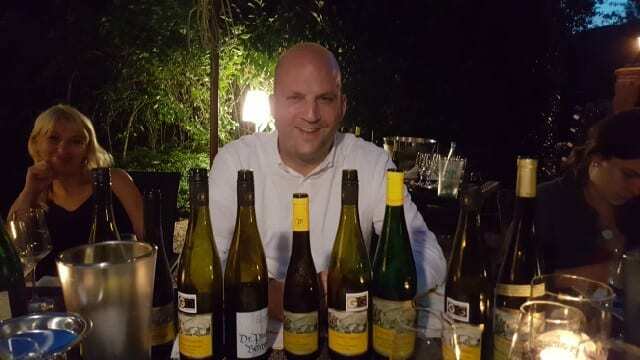 We are talking about riesling, considered the king of wine grapes in Germany. Of all the white wine grapes, riesling grapes produce the most intense and flavorful wines. 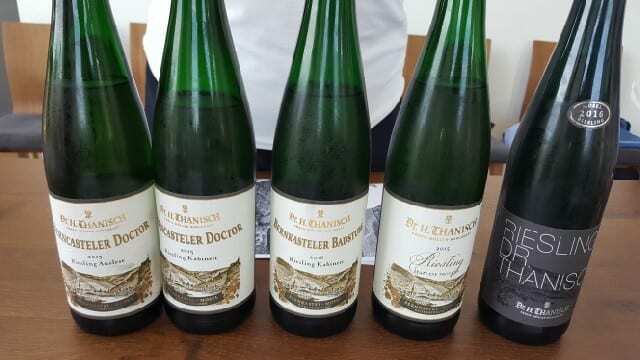 Unlike the dry riesling which is categorized under the VDP (“Verband deutscher Prädikatsweingüter”) system, the sweeter wines are classified under the traditional Pradikatswein. The levels of sweetness will vary and are dependent on when the grapes are picked. 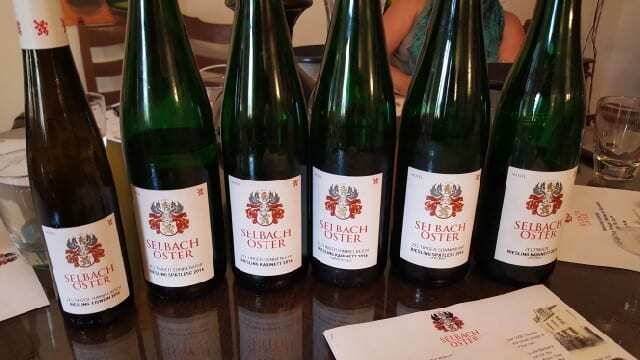 There is trocken (dry), kabinett (off-dry), spatlese (late harvest), auslese (select harvest), beerenauslese (berry select harvest) and trockenbeerenauslese (“dry berry select harvest”). To differentiate between these different styles, it was best described to me by a winemaker who likened these styles to bananas. Kabinett is described as the perfectly yellow banana whereas spatlese is a banana with brown spots. Auslese is the banana that is almost entirely brown and trockenbeerenauslese is a dehydrated, concentrated banana. 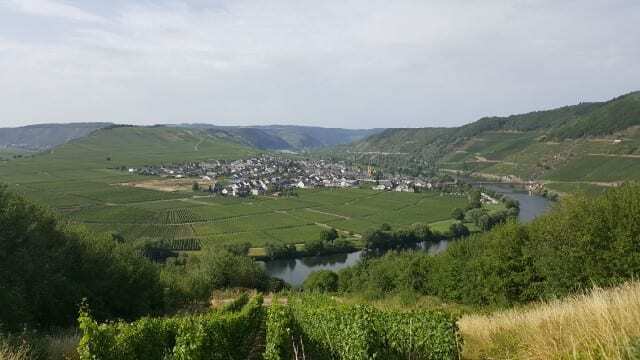 On my recent trip to Germany, I spent three days in the Mosel Valley, the oldest wine grape growing area in Germany, first started by the Romans. The Mosel is 200 kilometers long, with the Mosel River, starting in France and ending at the Rhine, and its tributaries, the Saar and the Ruwer, running through it. 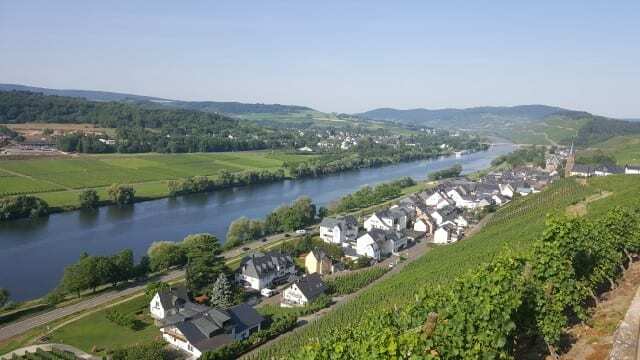 The Mosel is one of the warmest climates in Germany with moderately cold winters, warm summers with sufficient rainfall and a long growing season. Clayish slate, Devonian slate, sandy, gravelly soil and chalky soils are what can be found on the very steep slopes. A sheltered valley location, the Mosel is a magical place. 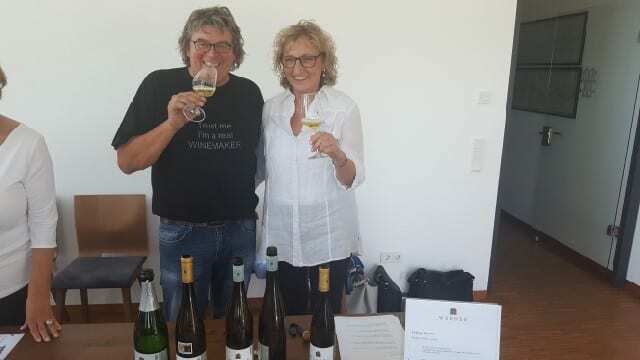 Over the three days, I tasted more than 75 rieslings, each varying in sweetness. The elegance, the aromas and, most importantly, the acidity — I could not get enough! No matter how much residual sugar is in the wines, these wines are matched by acidity and the wines dance on the palate. And the wines are lower in alcohol and have great quaff-ability. Stefan Bergweiler is the 12th generation family member to run their winery, taking over from his father, Dr. Peter Pauly, 10 years ago. 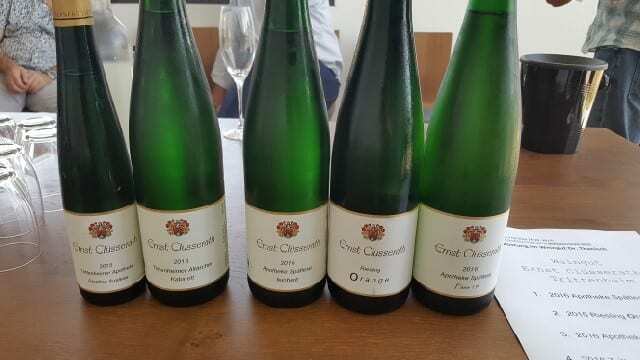 Ninety-nine percent of their production is riesling, of which 50 percent is fruity, 25 percent is half dry and 25 percent is fully dry. The Thanisch family can be traced back more than 350 years and at the end of the 18th century, the Thanischs acquired the Berncasteler Doctor vineyard, a very steep site with deep devon slate structure, situated behind and overlooking the rooftops of the quaint old town of Bernkastel. Today, the winery is run by Barbara Rundquist-Müller and her husband Erik. Barbara is the niece of Margrit Müller-Burggraef, a granddaughter of Dr. Hugo Thanisch. They have 40 certified sustainable acres of grapes and are working towards organic certifications. 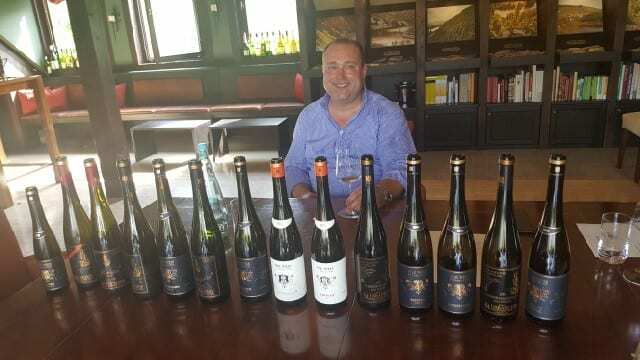 Ernst Clusserath is the sixth generation in his family to run the winery, which was founded in 1956, With only four hectares planted, Ernst focuses exclusively on riesling production to produce 2,000 cases of wine per year. A family property since 1650, Weingut Werner & Son has been managed by Margret and Bernhard Werner since 1987. With six hectares of vineyards, 80 percent is planted to riesling. Located on the banks of the Mosel in Pundericher-Marienburg, the family house dates to 1663. 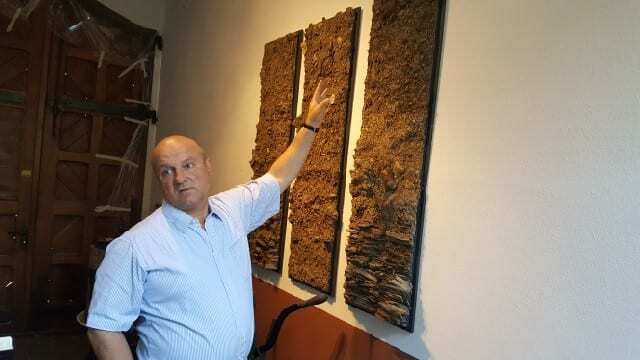 Clemens and Rita Busch have 16 hectares planted in gray slate that sit at the top of the hill at 200 meters altitude. Ninety-nine percent of their production is dedicated to riesling and they are 100 percent dedicated to organic production. Born into the 200-year-old family winery, Ernst Loosen studied archaeology before returning home to take over the family business in 1988. With 50 acres in the best vineyards in the Mosel, Dr. Loosen produces exclusively riesling from blue slate, red slate and red volcanic soils. Axel Pauley is the third generation in his family to run the winery. After working in Pfalx, New Zealand and California, Axel took over in 2009. While his father’s wines had more botrytis, Axel prefers a cleaner, lighter style. With 65 hectares planted on steep hills, Axel highlights the pureness, minerality and acidity of the wine. “A wine without elegance is not a Mosel wine to me,” he said. 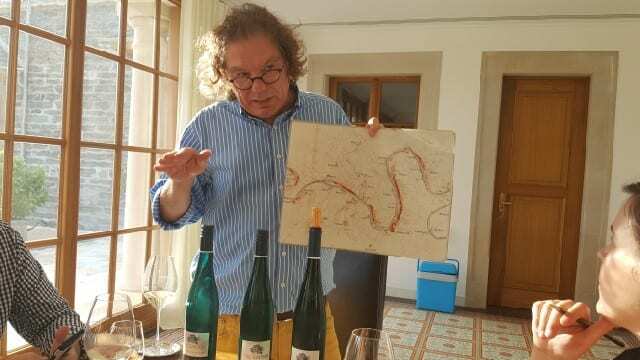 This entry was posted in Travel, Wine and tagged Axel Pauly, Clemens Busch, Dr; Loosen, Dr. H Thanisch, Dr. Pauly Bergweiler, German wine, Germany, Mosel, Napa Valley Register, Riesling, Selbach Oster, St Urbans HOF, Travel, Weingut Ernst Clusserath, Weingut Werner, Wine by Allison Levine.